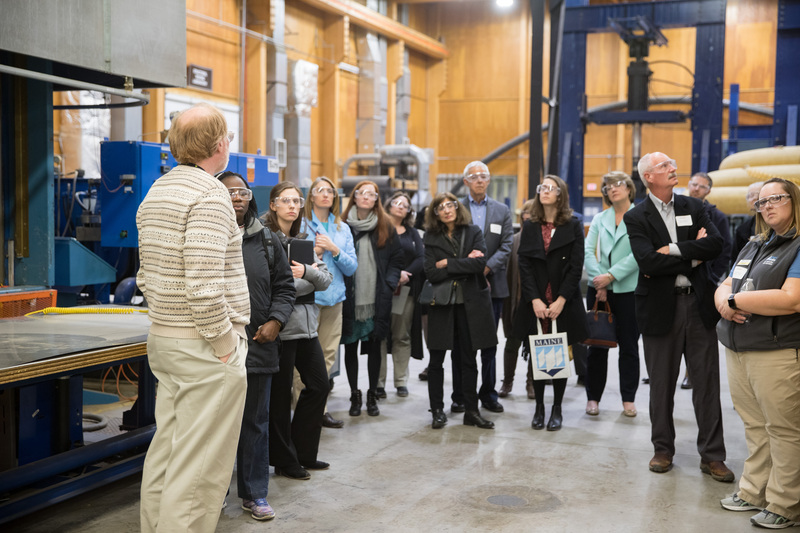 On April 20, 2019, BioME organized a Tour of the University of Maine followed by a Spring Networking Reception at the UMaine Campus in Orono. This tour was a great opportunity for employers, companies, and perspective students to get a peak of what UMaine offers their students. Attendees visited multiple bioengineering facilities on campus and heard presentations by UMaine President Joan Ferrini-Mundy, UMaine staff, biotech companies in Maine and BioME. 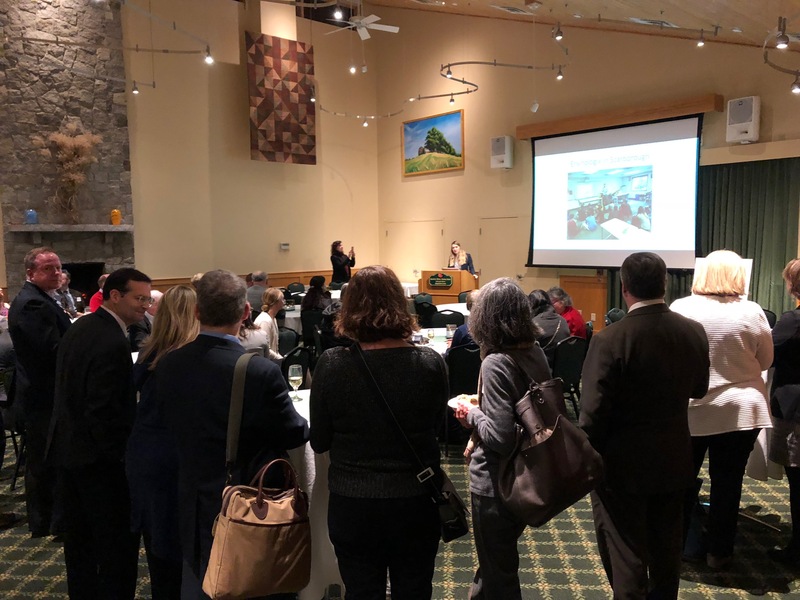 The Spring Networking Reception followed and it was a great chance for us to connect with members of the bioscience community in the Bangor area over delicious food and drinks. 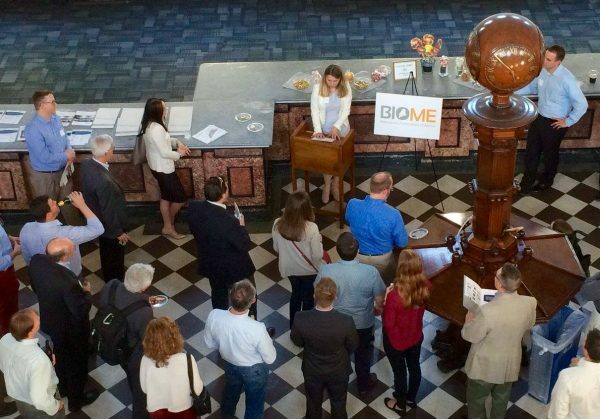 On January 22, 2019, we hosted our annual BioME Legislative Reception, giving our members and supporters a chance to speak with Maine State Legislators. Members got to explain what is important to them regarding the bioscience industry and their companies. This event was held at the Maple Hill Farm Inn & Conference Center in Hallowell, Maine. There were over 80 attendees, including members and legislators. 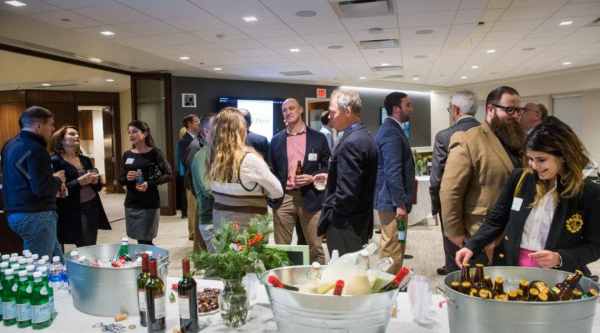 Our last event of 2018 was our annual Holiday Mixer, where we got to share our plans for the upcoming year. 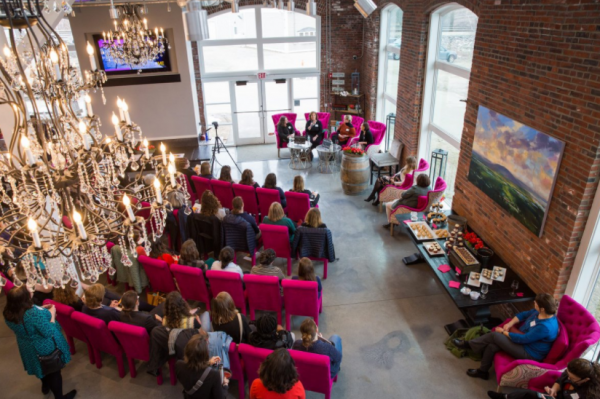 The event was held on December 10th at Cellardoor Winery in Portland, Maine. In addition to Cellardoor’s wine collection, Maine craft beer was served and the catering team sent around some amazing food. 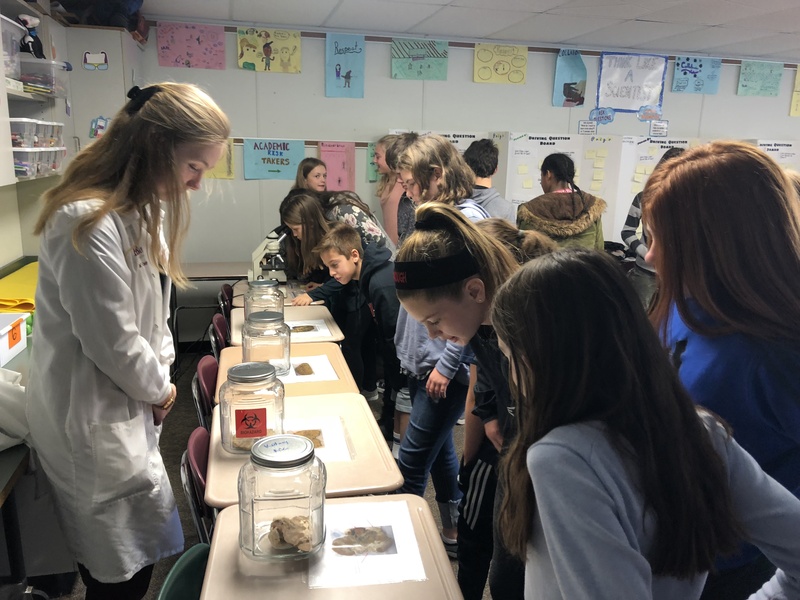 On November 7, 2018, we hosted our 3rd annual statewide event in middle schools throughout Maine. Maine Bioscience day aims to get middle school students excited about science. 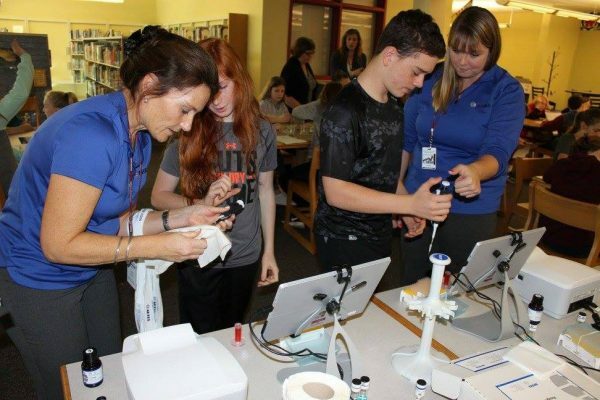 We invited professionals in the life science industry to Maine middle schools to share career stories, promote science as a subject, and show students that bioscience companies in Maine can be a great future career option. 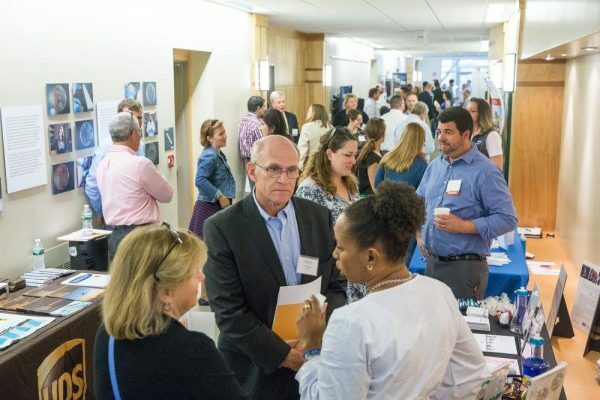 The next Maine Bioscience day will be held in November of 2019. 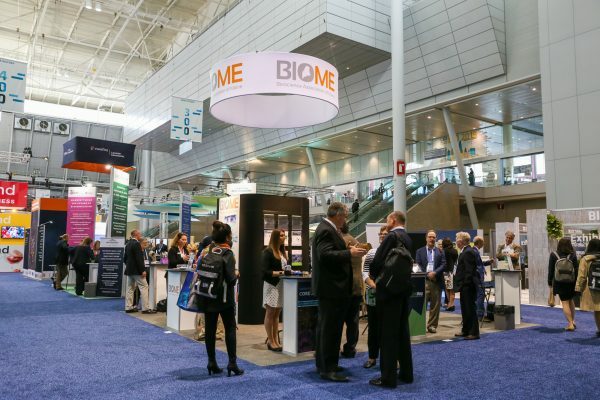 First week of June was busy for BioME staff and Board of Directors, as we organized the Maine Pavilion at BIO International Convention. BIO is one of the largest industry trade shows in the United States and more than 16,000 attended. We were glad to have a number of Maine exhibitors within our Pavilion: The Baker Company, GTCA, RockStep Solutions, Optimum Imaging Diagnostics, FirstPark, MMCRI and UNE. The Association and our exhibitors were able to make many valuable connections and meet with a number of companies and professionals. On Wednesday, June 6, we welcomed the Legislative Delegation who came on a chartered bus all the way from Bangor. The State Legislators had an opportunity to walk the show, as well as attend the Maine State Reception held later that day at Verrill Dana’s Office in Boston. Maine Pavilion and Reception Sponsors included: MTI, MITC, The Jackson Laboratory and Consigli. Thank you! On April 26, 2018 BioME organized a Tour of MDI Biological Laboratory followed by Spring Networking Reception at the MDIBL Campus in Bar Harbor. The tour was a great opportunity for our members and guests to familiarize themselves with the amazing biomedical research done everyday at the lab. We stopped by several lab sections and heard from amazing scientists on the advancements in regenerative biology and medicine. We also got to visit some of the interesting animal species used in the research, such as zebra fish and axolotls. Spring Networking Reception followed and it was a great chance for us to connect with members of the bioscience community in the Bar Harbor and Bangor area over delicious food and drinks. Our signature event, Women in Bioscience is a celebration of female scientists and entrepreneurs in the life sciences space. The 2018 event took place on March 29 at the Cellardoor Winery in Portland. About 100 guests attended to discuss matters important for Maine women scientists and what can be done to achieve greater gender equality in science. The discussion panel included Dr Kristy Townsend (University of Maine), Dr Ewelina Bolcun-Filas (Jackson Laboratory), Dr Deborah Bronk (Bigelow Laboratory for Ocean Sciences) and Kristin Gordon (Abbott). 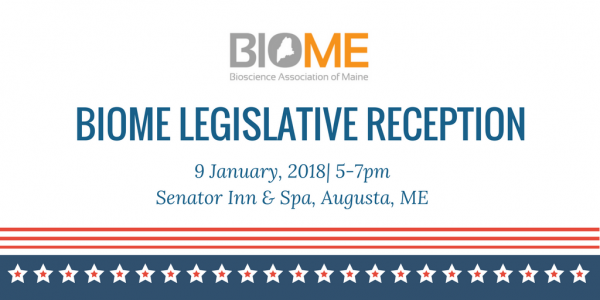 On January 9th, 2018, BioME hosted our BioME Legislative Reception giving our members and supporters a chance to talk to their Maine State Legislative about what is important to the bioscience industry and their companies. This event was held at the Senator Inn & Spa in Augusta, Maine. There was over 70 attendees, including members and legislators. Our last event for the year of 2017 was our annual Holiday Mixer. Despite the adverse weather conditions, we had a great turn out. 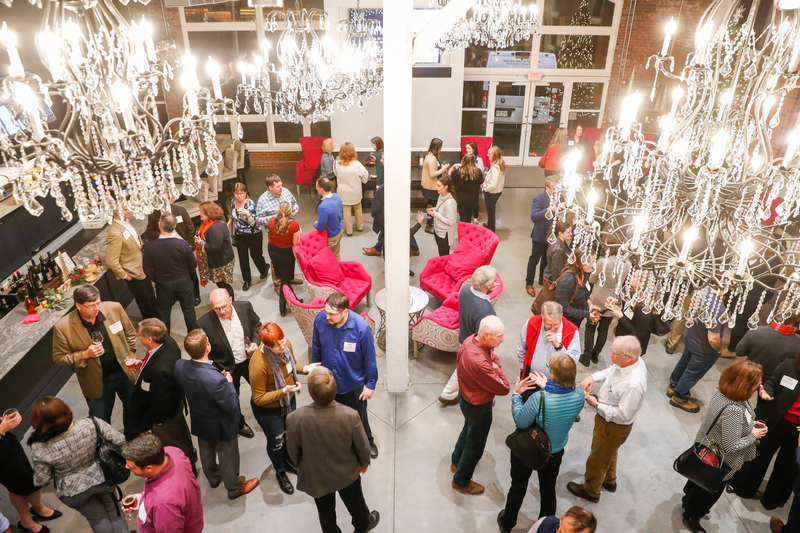 This event was held on December 12th at Verrill Dana in Portland, Maine. Allagash provided us with some craft beer and the catering team sent around some amazing food, all while we got to share our plans for the upcoming year. On November 8, 2017, we brought life sciences industry employees to middle schools in Maine. Our hope was to inspire future scientists, share career stories, promote science as a subject and show students that the bioscience companies in Maine are cool and a great future workplace. The event took place in middle school classrooms across Maine. This was the second ME Bioscience Day, and we hope to continue this event in the future. Next ME Bioscience Day will be in November 2018. On October 6th, 2017, we held our annual BioME conference at UNE College of Pharmacy. It was a great turn out with over 100 members, and supporters. Our keynote presenter was Mike Bonney; the Maine Panel was moderated by Norman Moore, PhD of Alere; on the Panel we had: Catherine Kaczorowski, PhD of Jackson Lab, Todd Keiller of MMCRI, Bryan Briggs of Idexx and Stephen Pelsue, PhD of BBI. 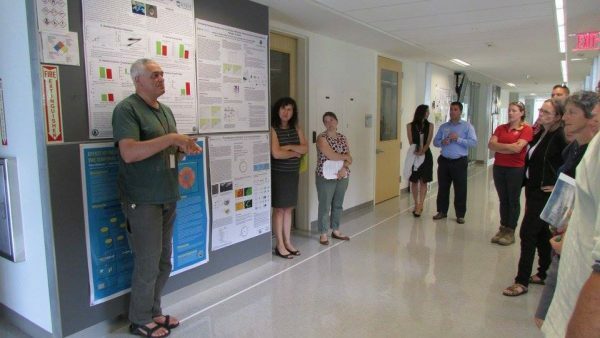 On August 2nd, 2017, BioME hosted a walking tour of Bigelow Laboratory. This walking tour was about 90 minutes long, and including a general overview of the organization plus an in-depth look at several of the individual scientists’ work. On May 16th, 2017, we held our Spring Networking Event at the Customs House in Portland. 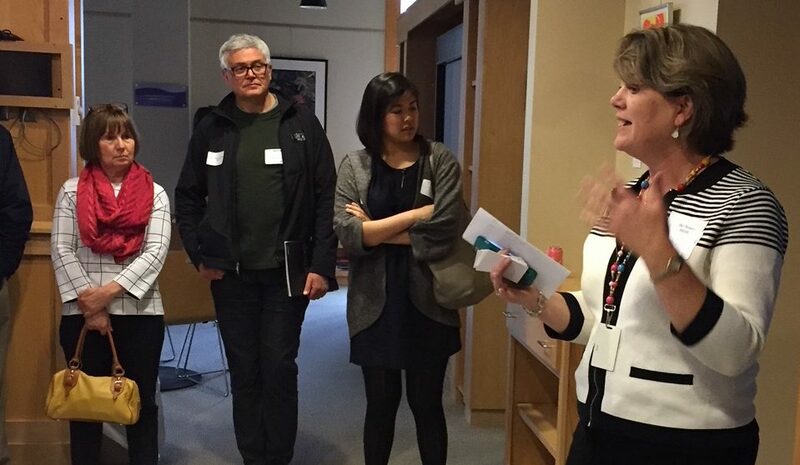 We celebrated spring with a retro candy bar, wine, and of course networking. This event also included a tour of the Customs House, a city landmark. The first event of 2017 helped us start the year out with a bang. 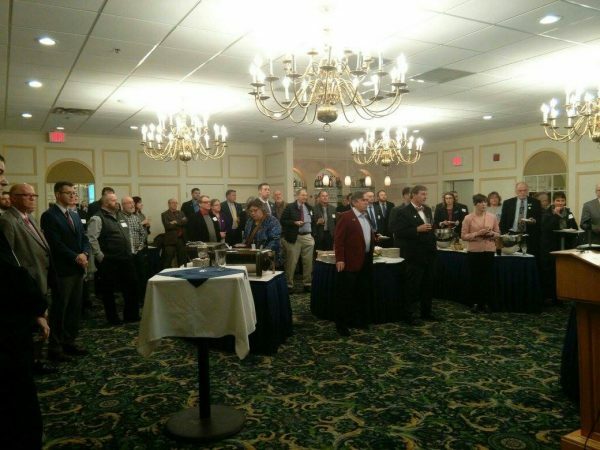 On January 10th, we held the BioME Legislative Reception at the Senator Inn & Spa in Augusta, Maine. At this event our members and supporters were allowed to come and share their concerns and passion for Maine’s bioscience industry to our legislative. This event was sponsored by BIO, Amgen and AdvaMed.